I will be performing at the United Nations on Friday, June 16, 2017, 2-3pm at the UN Visitor’s Lobby. 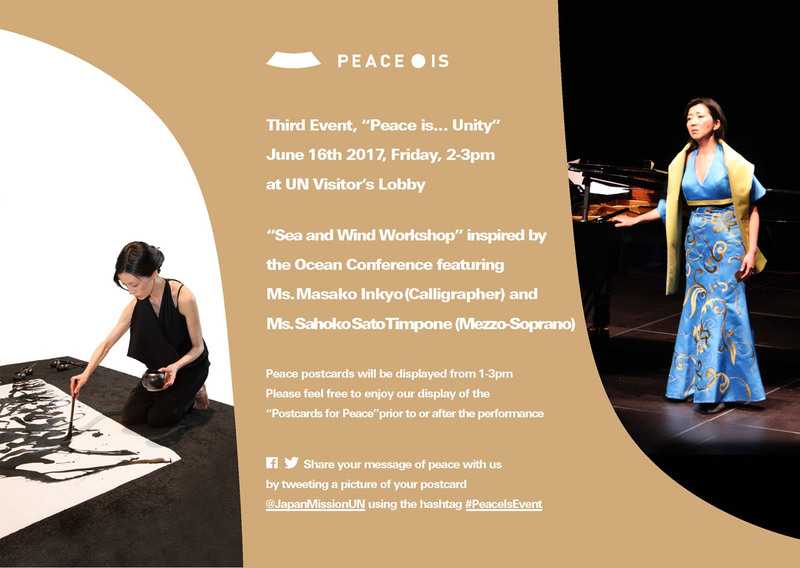 This will be a collaborative performance with Sahoko Sato Timpone (Mezzo-soprano). The overarching theme of this series of events is Peace. This month’s theme, within that, is “Sea and Wind”. I hope that you will be able to enjoy the opportunity to participate in this event by writing what peace means to you on a shell or a pebble, and placing it on the washi paper that I will be writing on for the performance.